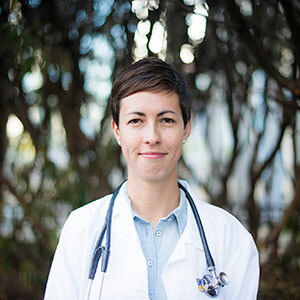 Dr. Nadia Fairbairn, MD, is a Clinician Researcher and Director of the Canada Addiction Medicine Research Fellowship with the BC Centre on Substance Use (BCCSU), as well as an Internal Medicine Fellow with the University of British Columbia. Her primary research interests include the development, evaluation, and implementation of pragmatic evidence-based strategies for addictions care in drug-using populations, as well as the development of strategies to reduce overdose and improve addiction treatment outcomes among people with opioid use disorders. As a Clinician Researcher and Director of the Canada Addiction Medicine Research Fellowship, Dr. Fairbairn conducts her own research examining strategies to improve addiction treatment outcomes among people who use opioids. Her past research has been conducted in various international settings and focuses on individual and structural factors that shape risk among people who inject drugs, including people with HIV infection. Dr. Fairbairn has worked extensively with the Mitsampan Harm Reduction Centre as part of the BCCSU’s Mitsampan Community Research Project, a serial cross-sectional mixed-methods study to investigate drug-using behaviour, healthcare access, the impact of law enforcement and policing, and other drug-related harms among people who inject drugs in Bangkok, Thailand.